Illinois REALTORS® lobbyists are reviewing the more than 2,700 bills and 20 constitutional amendments already introduced during the opening weeks of the 101st Illinois General Assembly’s spring session. Lobbyists are reviewing the legislation with attention on measures that affect the rights of property owners or real estate professionals. A bill of particular concern is one rent control proposal, House Bill 255. 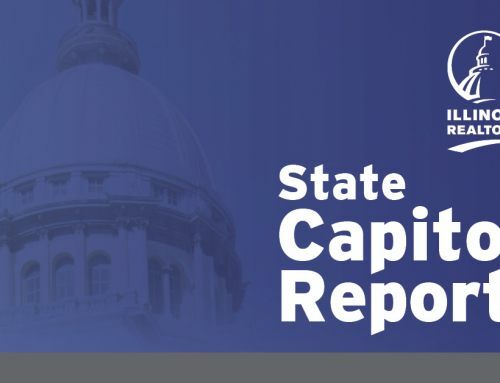 According to today’s edition of the State Capitol Report, our team expects thousands more bills to be introduced in the Senate and House by the Feb. 15 deadline. For more information on these issues and a link to the Illinois General Assembly website, go to today’s State Capitol Report. So many new legislators – now what do we do?